Handmade & Huggable Sea Creatures for Imaginative Play & Learning! Crazy Combinations of Colors & Patterns for One-of-a-Kind Plush Toys. My first thought when I meet makers of playful, colorful things is what fun it must be to take a walk in their imagination! How do they come up with their clever juxtapositions and crazy creations? 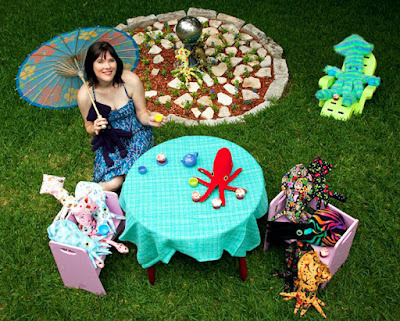 Take Kristin Hogan for example, mastermind behind Squid Friends and now a writer and illustrator of of her own comic. 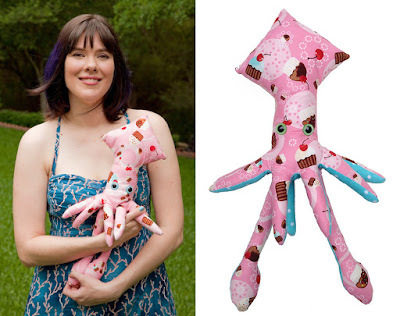 I can't help but wonder what first inspired her to make plush toy squids, fish and other less than cuddly animals. Her handmade toys are oh so cuddly and cute with an eclectic array of colors and patterns to choose from! Plus, they come with a built in opportunity to educate children about the sea and inspire them to care about a side of Mother Nature that not many other toys makers tackle. Squid Friends has such a beautiful mission in that regard. Not only is Kristin taking part in the Austin arts community as an entrepreneur, but she is also a maker with a greater purpose! I have a new appreciation for squid thanks to her! I'm half tempted to get one for my fur baby (if only I knew she wouldn't tear it up). 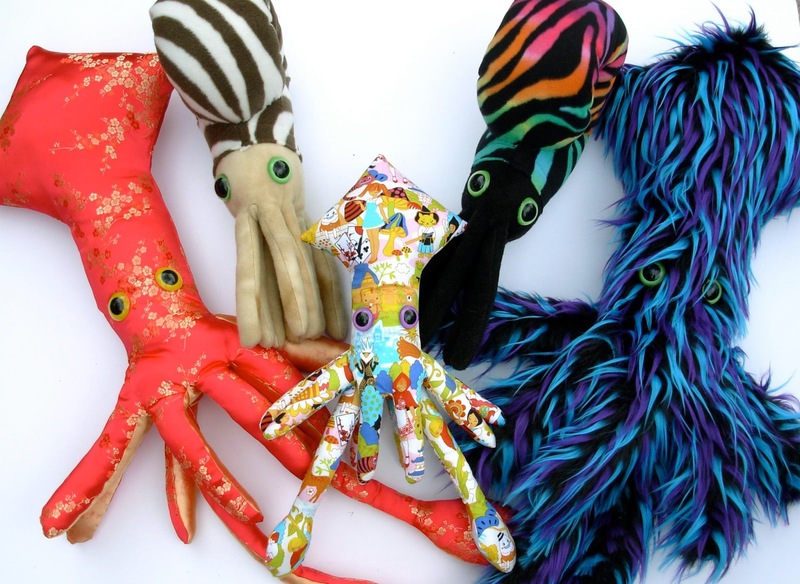 Squid Friends come in all kinds of patterns to match your child's personality. When I say all kinds, I mean it. There are some with realistic coloring and others made out of fabric with cupcakes or dia de Los Muertos or Sponge Bob. Kristin is a unique treasure in the Austin art scene. You can find her at various Cons and in December, she will be at Cherrywood Art Fair, a perfect event for holiday shopping. 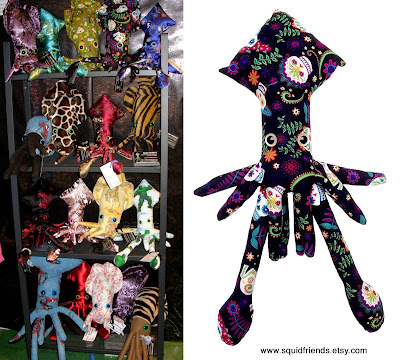 Squid Friends gives new meaning to the term cuddle fish!